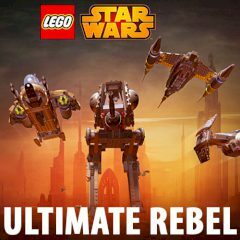 The Rebels have much less space ships comparing to the Empire, but their pilots are brave and can complete even the most challenging missions in the galaxy. Destroy the enemy ships and stay alive. The Rebels did more than you think to destroy the plans of the Empire. Their ships were distracting the main force of the legions and they have destroyed many ships and space stations to end the war. Refresh your memory and play for one of the rebels that made a history. Get in your ship and fly towards the deadly legion of the Empire and destroy everything you see.